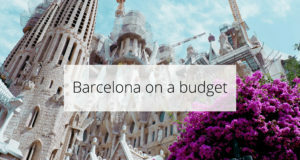 Would you like to have a romantic stay in Barcelona with your partner or would you simply like to take someone on a date, but you do not know where to begin? 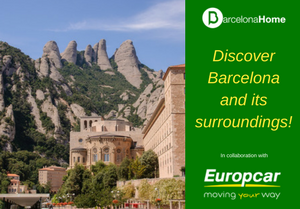 Do not worry, we understand that there are so many things to do in Barcelona that it can be easy to get lost with all the information. 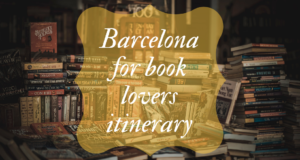 That is why, Barcelona-Home team, inspired by their own romantic experiences, have decided to create an itinerary with all the activities, places to eat and stay for an amorous journey in Barcelona. First of all, how to start the day! If you want to start it romantically with your other half Barcelona Style, enjoy the breakfast privately on your terrace. You can go to the Boqueria market in the previous day and stock up on all the things you need for this sweet morning. There is also a Panadería i.e. bakery in almost every corner in Barcelona so you can pick up fresh bread or pastries in the morning when your spouse is still sleeping. 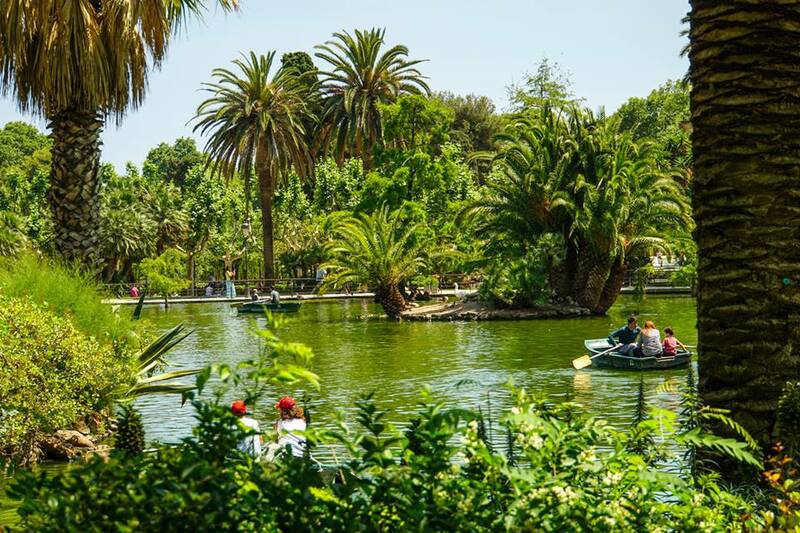 After enjoying a delicious breakfast, you can go to the Ciutadella park which is ideal for a long walk but you can also row a boat on a pond that is in the middle of the park. Renting a boat for 2 people costs 6 euros for 30 minutes. The park is the perfect location to have a picnic and enjoy some wine. Picnic! Picnic! is there to help you create an unforgettable experience with your loved one, this picnic catering company sets up a delightful picnic specially created for you, all you need to do is relax and enjoy the service they offer you. 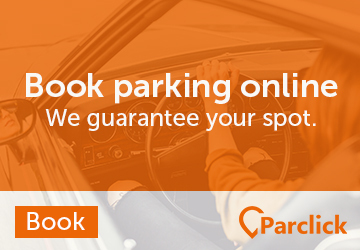 If you want to find out more about their service, click this link! 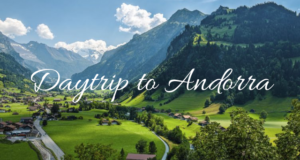 With this amazing tour, you get to see this city in a whole romantic way. 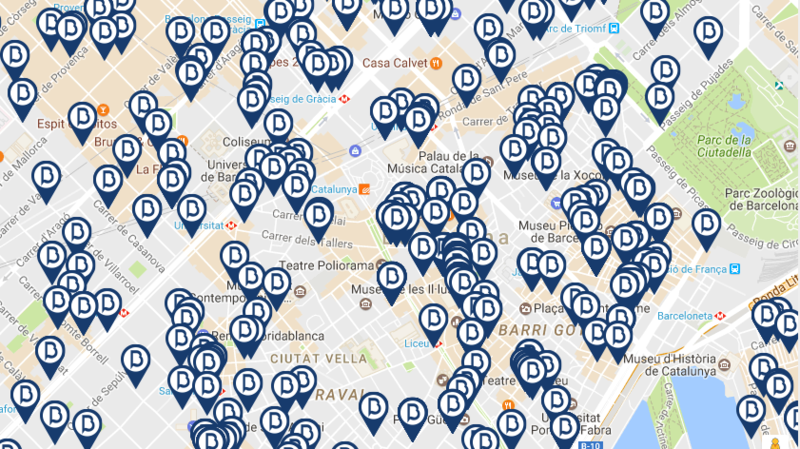 Vesping will show you the secrets and alternative side of Barcelona just riding a scooter! You can rent a Vespa and choose the Barcelona tour you prefer; after that, let yourself be guided along the route of a Barcelona that often remains unknown to tourists and residents, but which also includes the most famous points of attraction that you cannot miss. 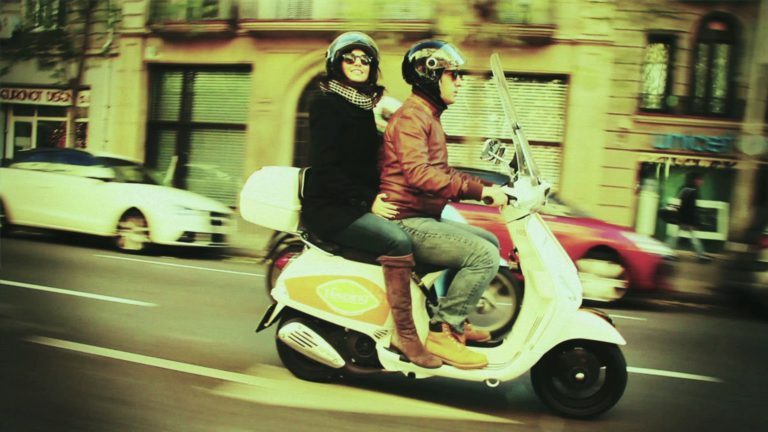 There is nothing more beautiful than driving a beautiful Vespa with your soul mate and reach together the most beautiful and romantic and suggestive sunsets in Barcelona. Vesping is much more than a simple scooter rental: it offers guided and private tours, where the precious secrets of the city are shared, to make the stay unique and special. The price starts from €20 per person, depending on which tour and type of scooter you prefer. Besides the Vespa tours, they also offer activities for team building, wedding, filming and much more! 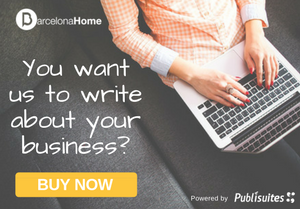 You can find their offices near Sagrada Familia! After taking a long walk in the park relaxing at a spa helps to revitalize your legs. 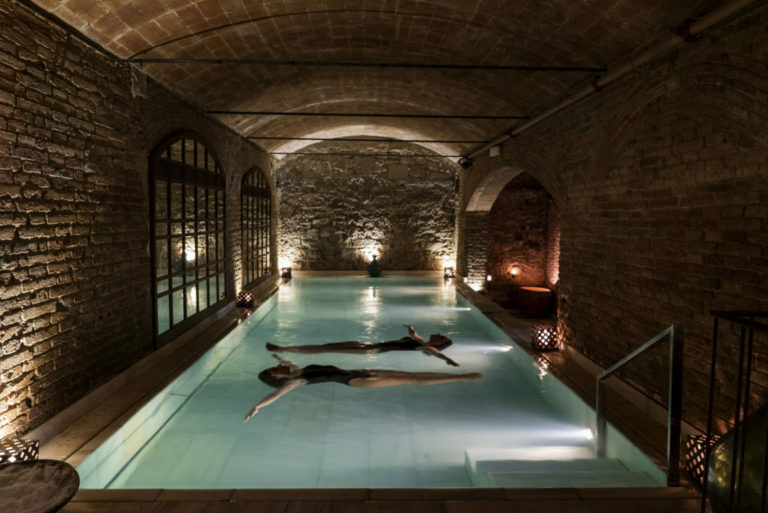 A couple of meters away from Ciutadella Park, you will find Aire de Barcelona, an ancient spa that was built in the 17th century. This old warehouse has a magical atmosphere with its stone arch gates, dim candle lighting and of course pools filled with warm water. At the spa, it is easy to escape from the hustle and bustle of the city, forget the stress and spend some quality time with your companion. This is the perfect setting for a thermal bath with aromatherapy, massages and even a wine bath experience. After the spa, you can continue your journey with a nice walk in the romantic back streets of the Gothic Quarter, the old town of Barcelona. If you feel like wandering a little further away from the city to a different setting go to the Parc del Laberint d’Horta. We can assure sure it is a blast for the eye with its labyrinth, canal, and gardens. We are now reaching the most romantic part of the day, sunset time. 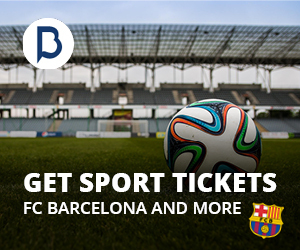 In Barcelona, you have several options. Indeed, you could rent a boat and enjoy the sunset in the middle of the sea in perfect privacy. 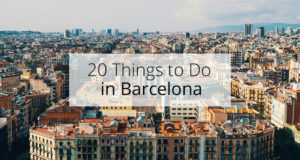 If you want to experience an amazing view on Barcelona as well, you can go to Parc Guell or to Bunkers de Carmel where you can see the whole city from a lookout. The bunker was built during the Spanish civil war in 1973 and it is located on the highest mountain in the city. You can get to the Bunkers by first taking metro L3 from the city center (e.g. Catalunya) and then by changing in Vallacarca station to bus V17 that will take you to the mountain. The trip takes about 40 minutes but the view is worth the effort. Not to mention that the area is more favored by the locals so it is a chance to get to know a bit more authentic part of the city. How about bringing a glass of Cava with you while enjoying the sunset with your companion? Last but not least, there are many things you can do at night. For instance, you can go to watch the amazing show of The Magic Fountain of Montjuïc. In the show, the water of the fountain is synchronized to move together with music and lights. If you are feeling for something a little more festive, you could go to Los Torantos to enjoy an authentic flamenco show or to Jamboree for some Jazz. There is nothing more amorous than a candlelight dinner with your companion in a cozy restaurant. 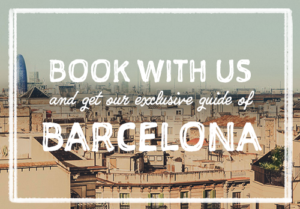 It’s definitely an obligatory step to have a perfect romantic stay in Barcelona. 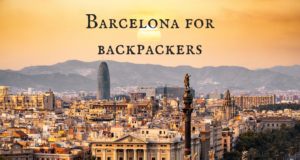 The variety of restaurants in Barcelona is huge and it might be difficult to decide where to go to truly enjoy your special evening. So, to help you out of struggle and to save some time, here we give you some very romantic alternatives. La Luna is a tapas restaurant in El Born district, located in Ciutad Vella neighbourhood, just behind an astonishing Santa Maria del Mar church. 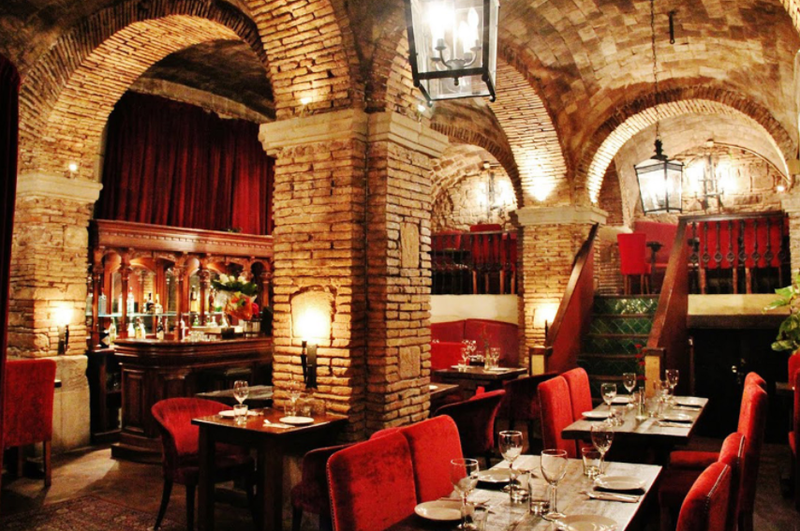 A very intimate atmosphere of the place is created by arched ceilings, dim lights, and deep red, velour sofas. The place has a Spanish vibe combined with modern elegance. In the menu, you will find traditional Spanish tapas like Patatas Bravas and croquettes along with international style tapas, for example, Mexican quesadillas or Greek salad. They also have a good selection of vines and others drinks. All this at very affordable prices! Thus, La Luna is the perfect place for your romantic dinner. Narrow streets of Gothic Quarter will lead you to the Pla Restaurant. An enchanting place with an experienced, friendly staff who will discreetly look after you during your visit. The restaurant was founded over 20 years ago so the longevity is a good indication of its quality. Local seasonal products are composed here with a modern touch, which makes the plates really special. 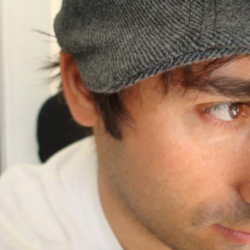 The cuisine is influenced by the Mediterranean but also other cultures. It’s the perfect place to spend a delightful evening. For lovers who are seeking for something extraordinary, we suggest having a lunch or dinner in Torre d’Alta Mar. 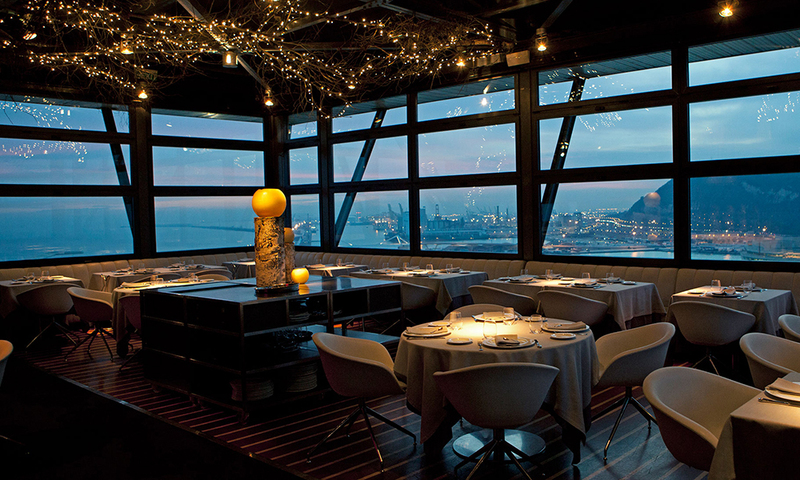 This wonderful restaurant is situated on the top of the tower of the cable car, next to the Barcelona beach. In addition to the view, the food is great. The chefs prepare creative dishes that combine good taste with aesthetics by using new techniques but at the same time respecting culinary traditions of the city. Just close your eyes and imagine yourself holding your partner’s hand, having a beautiful 360º view over Barcelona and a perfectly elaborated meal. Can be there something more romantic? Nothing brings people closer than…cooking together! Do you prefer to stay in your cozy apartment and prepare a dinner yourselves? Try out Local Food Experience! 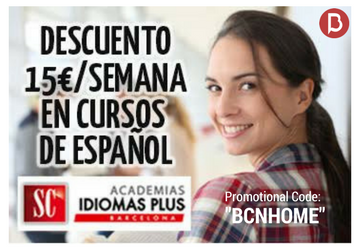 This online service will provide you with all the ingredients and a recipe necessary to make a typical Spanish dish you want. 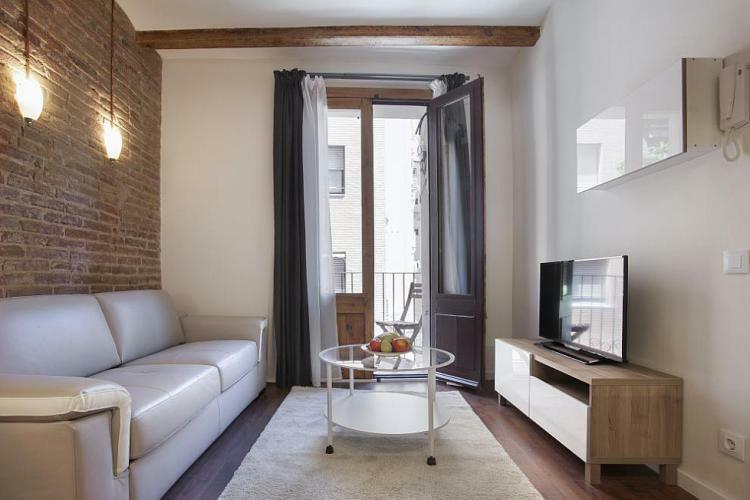 We have found a lovely cozy nest in Eixample close to one of Gaudí’s most famous unfinished architecture, Sagrada Familia. The apartment has a terrace where you will be able to have breakfast with your other half. It is composed of all the essentials: an equipped kitchen and a bedroom with an adjacent bathroom. We love the beautiful beige leather couch in the living room which has direct access to the terrace. This beautiful apartment, located in bohemian Gracia district, has an amazing terrace where you can have a meal or simply relax on a deck chair. It’s very spacious, consist of a fully equipped kitchen, bathroom with a bathtub, cozy living room, and an intimate bedroom. Its vintage style, charming details, and bright colors will make you fill at home. 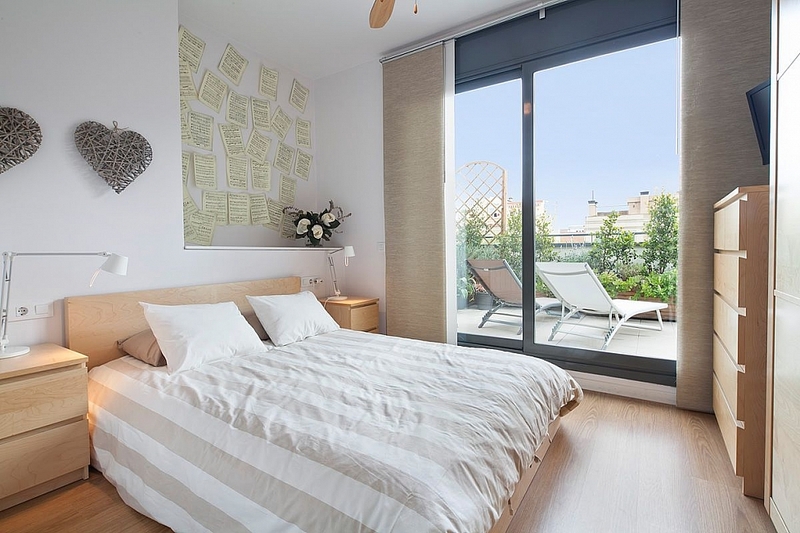 For the ones who are looking for something superb, we recommend an apartment with jacuzzi in a luxury Eixample district. Two big terraces and splendid interior will be disposable just for you two. 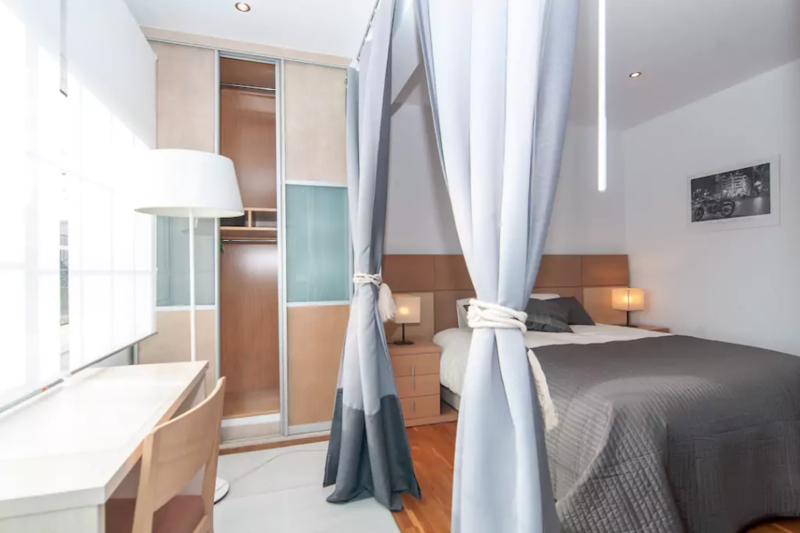 Comfort, privacy and central location with an easy access to the city’s attractions is what makes this apartment a perfect choice for your romantic stay in Barcelona. 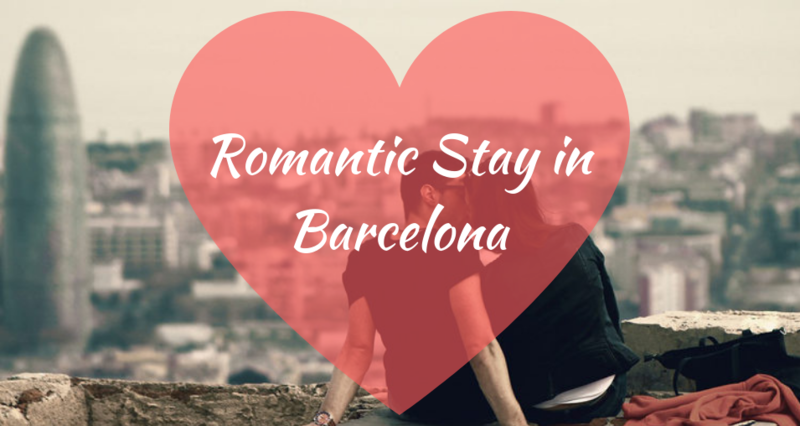 Need some more inspiration for your romantic stay in Barcelona? 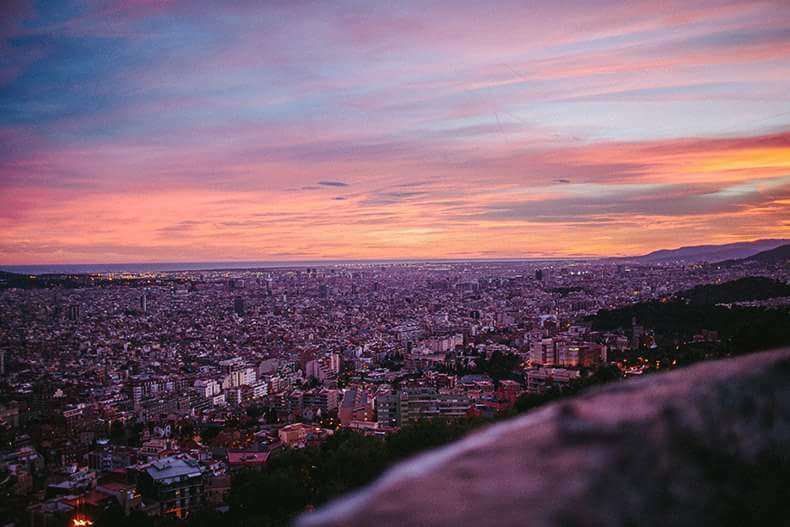 Check out our article on top 8 romantic places in Barcelona! 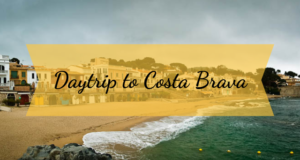 I have been together with my partner now for 7 years and you know how things can get after being together for that long… We are planning a trip to Barcelona to try to get some more action in our relationship and will try these suggestions out. We need more romance in our life!